When you have decided it is time to upgrade to a larger home for the family, downgrade after the kids are off to college, or move somewhere entirely new, you face the ordeal of selling your current home. You may love your place and think it is a great deal for the next family, but others may not have such an immediately positive opinion. When it is time to sell your home, you should take a few steps to help the process along, including working with a residential real estate attorney who can represent you at the close. Making repairs: You may want to sell your house as is. However, if you put a little money into fixing it up, you may see a significant difference on the closing price. Fix issues that make the home look old or worn down such as broken windows or railings. Painting in neutral colors: While your décor has nothing to do with the amenities of the house and how well it may work for the next family, it can quickly turn off potential buyers who have a hard time imagining the future. You do not need to completely redecorate, but if you currently have dark, bright, or a large variety of colors, it may benefit you to paint more neutral tones throughout the house. Potential buyers will enjoy the clean, fresh look and will not be dismayed by having to paint before they can move in. Cleaning up the yard: Your front lawn is your home’s first impression. You can impress potential buyers by keeping your yard trimmed and adding some landscaping, even if it is easy-to-care-for potted plants. Removing – or hiding – your clutter: Potential buyers are often more swayed by your home’s cleanliness and clutter than they should be. After all, it will all be gone when they moved in. However, hiding your clutter away, even if you need to rent a storage unit to do so, can help you sell your home. Staging your home: Instead of keeping your home just how you like it, rearrange it to display its size, unique features, and potential uses. You want your furnishings and decorations to appeal to potential buyers. Check your credit: Once you sell your home, you probably want to buy a new one. Before you make the jump, take a look at your current credit score and finances to determine what kind of financing you are looking at for the new house. Finalize your budget: Since you will be house hunting too, you need to know the top of your budget. However, do not focus on the selling price and forget about closing costs, attorney’s fees, utilities, property taxes, and homeowner’s insurance. Have a home inspection: It may seem like a waste of money, but you do not want a sale to fall through at the last minute because of something found on a home inspection required by the buyer. Consider having a thorough home inspection done so you know what needs to be repaired before the house goes on the market. Research your home’s value: If you have owned your home for years, made improvements, or witnessed changes around the area, you should not assume you know an appropriate asking price. You should research similar homes in your area or even have your house appraised to ensure you ask for an appropriate amount upfront. To learn more about selling your home, contact the Law Offices of Larry E. Bray, P.A. at 561-571-8970. 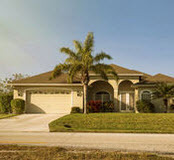 An experienced Florida residential real estate attorney can help you prepare for selling your home and represent you at closing.